Very well maintained 52,000 sf warehouse/manufacturing facility with approximately 11,000 sq.ft. of finished offices in move-in condition. Building is fully air conditioned and sprinklers run throughout. Features include 3 dock doors, 4 grade doors and 1 knee high door and heavy industrial power. Building can be demised to suit smaller users. Flexible terms and sizes available. Offices can be rented separately from warehouse. 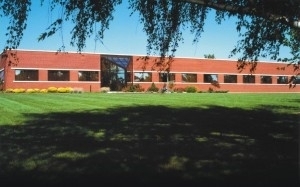 Approximately 40,000 square feet currently available for lease.